LATITUDE 64: Striker is the perfect disc for accurate drives; both straight, right and left. The excellent balance of our new driver makes it suitable for most players. 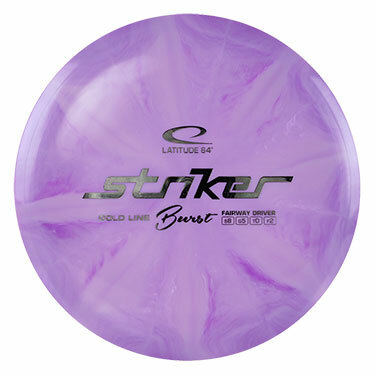 It is not too overstable and not too understable, making it a very useful disc for players that look for more than just distance in a disc.